Emotional Quotient - Communication Works Inc. Communication Works Inc. Emotional Quotient - Communication Works Inc. In the workforce today, businesses are now structured in a way that almost everyone has some level of decision-making ability. Whether the decisions are big or small, they have a direct impact on how successful, efficient and effective individuals are on the job. As a result, it is becoming more and more important for employees to focus on and improve their decision-making abilities. This may seem as simple as learning from our mistakes, but it really starts at a much deeper level. Making better decisions starts with understanding your own Emotional Quotient (EQ). With TTI Emotional Quotient, you can improve the coaching and development process by giving superior performers the opportunity to truly understand their emotional intelligence. 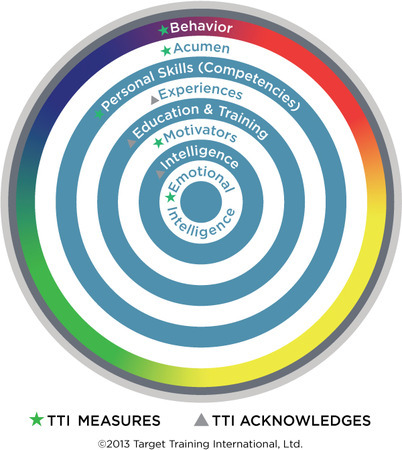 The TTI Emotional Quotient report will help identify ways they can take action to accelerate their Emotional Quotient development and leverage their new knowledge to make better decisions on the job.